Legends of Springsteen: Lyrics Spotlight - "Darkness On The Edge Of Town"
Them things don't seem to matter much to me now." "Darkness on the Edge of Town" is perhaps one of Bruce's most underrated songs. Of course, I don't actually mean underrated by the fans, who rated it as Bruce's 11th best song, but underrated by me. In beginning to write this lyrics spotlight, there were several lines I could've written expanded thoughts on, and perhaps I will at a later date. But, for now, I'd just like to spotlight this somber line. Now, granted, the narrator of this song has lived a much tougher life than me. I still have my money, and I have not lost a serious girlfriend, much less a wife. But, whenever I hear this long, it strikes me in a completely different way. I see it as a re-prioritizing of one's life. Things that you valued at one point no longer seem important. 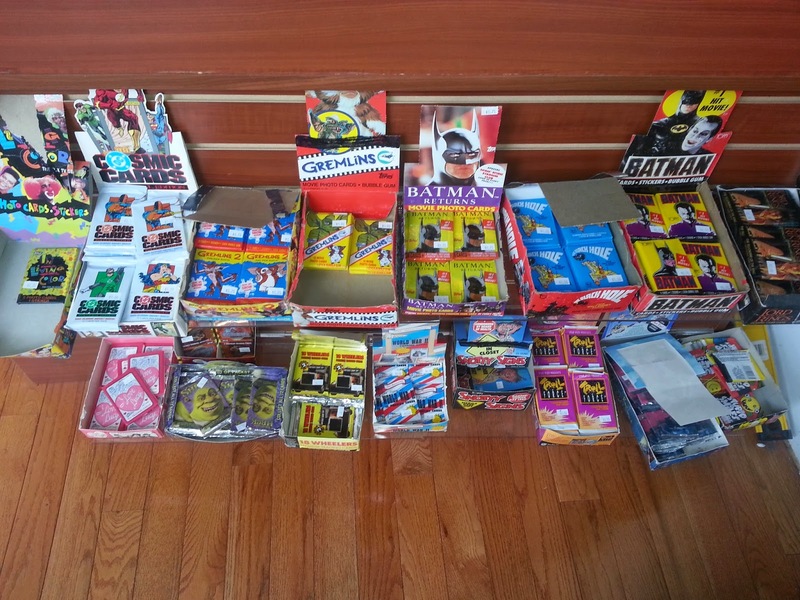 Those are movie trading cards from the late 80s and early 90s. For me, the Batman trading cards always held a special place in my heart. You see, whenever I visited my grandmother's house, my cousin, my brother, and I would take a trip down the block to a local delicatessen. Here, we would get assorted snacks, Slush Puppies, and, of course, Batman trading cards. I must have had hundreds of those things. So, flash forward to the future, and I naturally caved, ponying up the $0.75 and buying myself a pack. I rushed home to open these suckers...and boy oh boy was I disappointed. Granted, there was a temporary amount of joy - I loved the feeling of unwrapping a brand new pack of trading cards - but this lasted about as long as the flavor of Fruit Stripes gum. I flipped through the cards, which were just poorly framed movie stills printed on floppy cardboard, and was completely baffled about how I would have spend hours looking and sorting through them as a child. "Them things don't seem to matter much to me now." It goes to show that all trips down memory lane are not made equal: while some memories you should never let go, others are perhaps best kept in their own place and time.